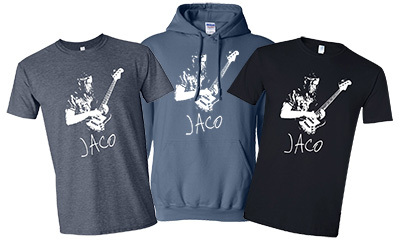 A single-disc collection of music from the forthcoming documentary film, “JACO,” the JACO: Original Soundtrack premieres three brand-new recordings including two riveting interpretations of Jaco classics: “Come On Come Over” by Mass Mental (featuring Robert Trujillo, Armand Sabal-Lecco, Flea, Whit Crane, Benji Webbe, Stephen Perkins & C-Minus) and “Continuum” by Rodrigo y Gabriel; and “Shine,” the new track by Tech N9ne containing a sample of “Kuru,” as recorded by Jaco Pastorius. Produced by Robert Trujillo and Jaco’s eldest son John Pastorius IV, JACO: Original Soundtrack brings together 16 essential recordings including Jaco Pastorius solo tracks, Weather Report masterpieces and musical collaborations with Joni Mitchell, Ian Hunter, Herbie Hancock and more. The album offers music fans the rare evocative sonic soundscape, “Longing,” featuring Jaco’s daughter Mary Pastorius (vox), Chuck Doom (bass), Robert Thomas, Jr. (hand drums/drum kit) and God (rain/thunder). A full-length documentary film chronicling the life, music and ongoing influence of the mythic electric bass pioneer Jaco Pastorius, “JACO” is produced by Robert Trujillo (bassist: Metallica, Infectious Grooves, Mass Mental) John Pastorius IV, Bob Bobbing, and John Battsek of Passion Pictures (“Searching for Sugar Man,” “Project Nim”) and marks the directorial debut of documentary filmmaker Paul Marchand and Stephen Kijak (“Scott Walker: 30 Century Man,” “Cinemania”). “JACO” incorporates interviews with musical visionaries including Sting, Joni Mitchell, Flea, Jerry Jemmott, Bootsy Collins, Wayne Shorter, Herbie Hancock, Carlos Santana and others with never-before-seen photos and films from the Pastorius family archive. This extraordinary film reveals the story behind Jaco’s life and music, both as a solo artist and member of Weather Report, the tragic arc of his demise and early death and the enduring influence and inspiration of his artistry and genius. 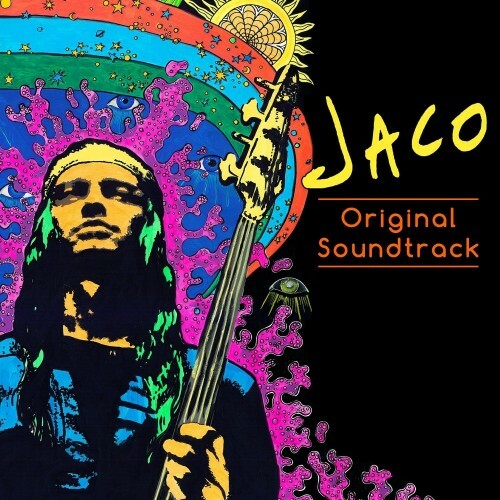 Legacy’s JACO: Original Soundtrack includes liner notes on Jaco Pastorius penned by Robert Trujillo and album co-producer Chuck Doom. Also slated for consumer home release on November 27, “JACO,” the documentary, will be available via VOD, streaming services, digital download and on DVD and Blu-ray. “JACO” had its world premiere earlier this year at Austin’s SxSW Film Conference & Festival, accompanied by a panel discussion featuring filmmakers Trujillo and Marchand as well as longtime Pastorius collaborator Peter Erskine (Weather Report, Word of Mouth) and Executive Producer John Pastorius. On Thursday, November 22 at 7pm, The Theatre at Ace Hotel will host a special screening of the critically acclaimed documentary JACO. The screening will be followed by a 9pm performance by Trujillo and fun rock collective Mass Mental, featuring Armand Sabal-Lecco, Brooks Wackerman, Whit Crane and Stevie Salas. Hipster Assassins featuring Felix Pastorius, Mike Bendy, John Bendy, Chris Ward and Kenny Grohowski will also be performing. My brother introduced me to Jaco Pastorius’ work. The film made me cry. So often genius is coupled with mental illness…you see, my brother and I are both bi-polar and, we grew up in Florida. Not saying that the two of us are geniuses but Jaco, Jaco was genius in that he could translate his feelings, his being into music. Music truly is the international language. He touched many, many lives and definitely left his mark on planet Earth. The music industry was morphed by his ingenuity with the bass, and other instruments. To all his family, children, and musical famliy, thank you for sharing his life in this beautiful documentary. I was amazed at how much film he had from his younger days in Florida, reminded me of my own childhood on 8 mm film. This documentary, it moved me beyond words. I look forward to seeing this film about this musical prodigy who died too young with so much more music to share with us. Okonkole y trompa – Barbary coast Que du Trés Lourd avec Jaco !!! So excited about this film and soundtrack. Anyone know if there will be a vinyl release? It’s about time! Jaco was the Jimi of the electric bass. Tribute! All hail to the great one. Never Forgotten! No Havona or Remark you Made……sigh…..
What about “Havone” ! the masterpiece ! How can you get hold of this DVD in Australia?? Jaco rules bass!!! Grande Jaco, inspiração de muitos músicos. Es grandioso saber que tendremos una pelicula mostrando la musica y la vida personal del Mejor Bajista del Mundo Jaco Pastorius que nos dejo un Legado a todos los que amamos el Bajo y recibimos una influencia fresca de este gran Maestro. When and where is the film premiere in the UK? ?